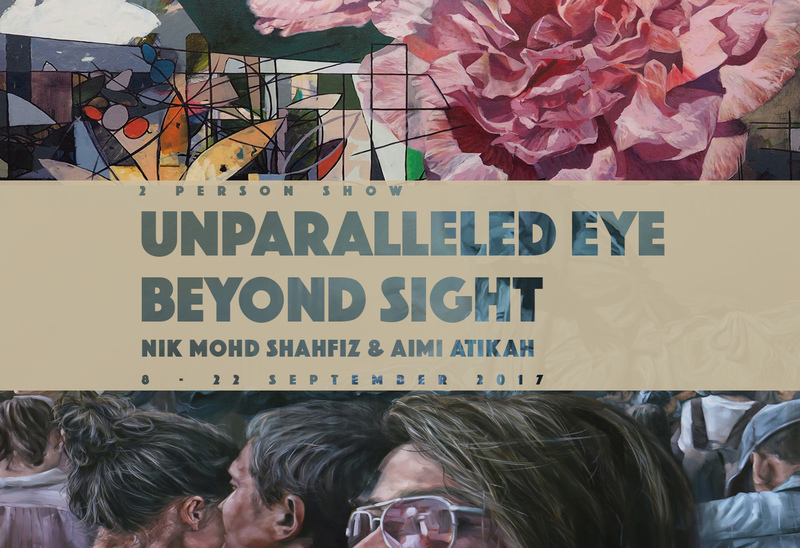 Unparalleled Eye Beyond Sight refers to a ​joint-exhibition ​by young artists, Aimi Atikah and Nik Mohd Shahfiz. Both artists use metaphors and symbolism in their story-telling to create meaning based on their experiences. ​​This exhibition showcases 10 ​recent works​ on canvas​ which revolves around the idea on how​ they​ reach their conclusion ​based o​n​ their observation at a different time frame and space​. Prices of the works range from RM​4,500 to RM8,800. Sizes are from 152.5cm by 122cm to 244cm by 153cm.